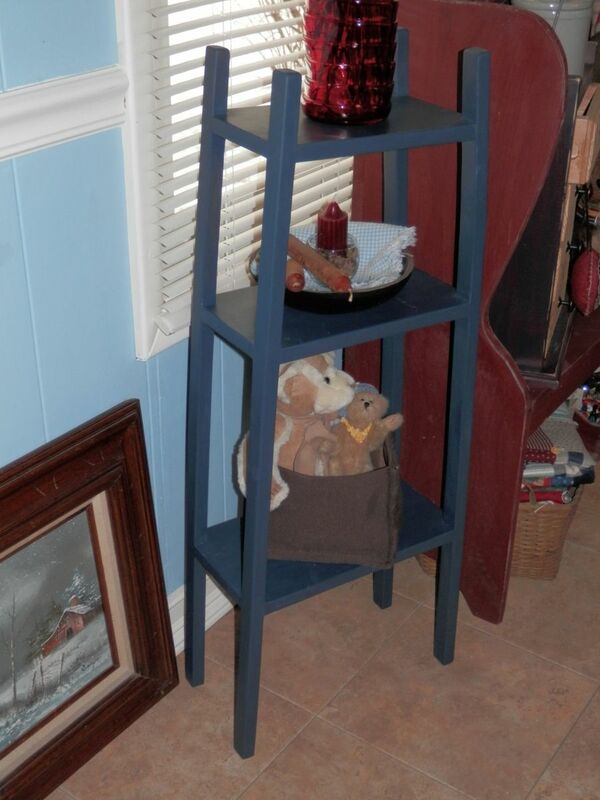 Cute little primitive 3 shelf stand. Great for anywhere or any room ! 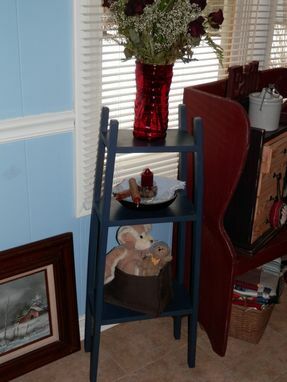 Measures 30" tall and 13 1/2 inches wide and tapers to 10 1/2 inches at the top and 7 1/4 inches deep. Shown in Navy Blue color under a black base coat. The one pictured is not sanded back and distressed, but you can request to have your distressed. Accessories are not included.